Technology is always quickly changing and expanding, and it’s easy to see how the advancement of technology has positively affected businesses. Many businesses use IT solutions in Toronto to help their business stay on top of technological advancements for their online platforms, cloud services, and cybersecurity solutions. 2017 has ushered in four major trends for managed IT services that are expected to change the way businesses operate in the coming years. Cloud technology is growing in popularity and that trend isn’t expected to disappear anytime soon. In fact, 80% of small businesses are expected to have adopted cloud technology over the next three years. A similar percentage of larger businesses have already started using cloud services. Managed services in Toronto like cloud solutions are the present and future for Canadian businesses, and companies that don’t hop on the bandwagon may find themselves regretting it. If you need reliable and flexible cloud services, NUMENTIS offers managed IT services in Toronto to support your business. The constantly changing digital landscape means cybersecurity is always a threat. While cybersecurity experts are always coming up with solutions, there are always new threats to be aware of. Understanding these threats and how to deal with them is important to ensure your business’s information is always secure. Managed IT Services can help make your business safer from cybersecurity threats, and deliver the solutions you need to protect your network and data. If you need robust IT solutions in Toronto, NUMENTIS offers IT consulting in Toronto to guard your business against cybersecurity threats. The Internet of Things (IoT) refers to the interlinking of physical and smart devices. The trend towards connecting everything via technology will only grow stronger. If you consider your surroundings, you’ll see how the IoT works in your everyday life. Managed services in Toronto can utilize this technology to help business connect and integrate their systems to run their operations more effectively. Managed IT services in Toronto can help business ensure their operations are more convenient for clients using IoT technology, which will improve their experience with your company. Remote Monitoring and Management (RMM) is an increasingly important service to integrate into your business environment. The evolution of technology means platforms must evolve to keep up with new features like integrated cloud backup and security patches for multiple devices. An RMM platform allows enhanced automation and machine learning, which is useful for predicting and mitigating future issues. RMM platforms will continue to develop and offer new features to help your business. 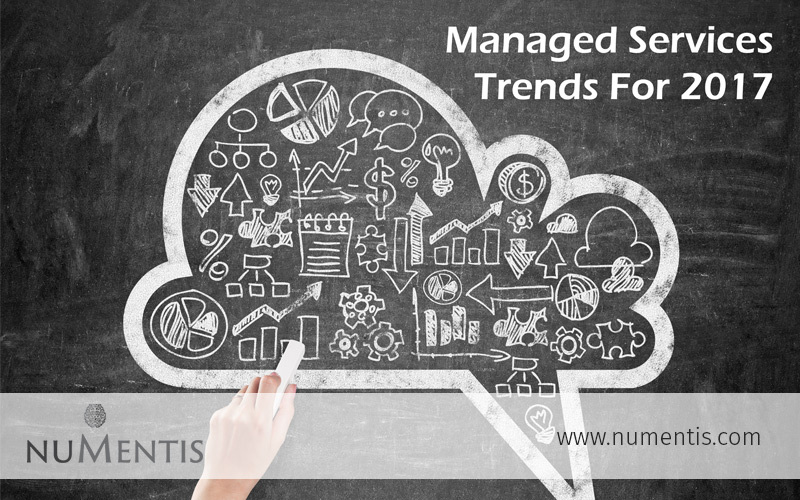 If you want to take advantage of this technology for your business, NUMENTIS offers Managed IT Services and IT consulting in Toronto, and can help you integrate RMM services into your growing business. NUMENTIS offers reliable and secure managed IT services in Toronto. In a fast-paced digital world where consumers expect convenient and secure technology solutions from every business, it’s important to ensure your business can always offer your customers the technology they need. Contact NUMENTIS for the IT solutions you need to support your business grow and succeed.